Poreless coater consists of main motor, spraying supply for compound material, hot-air-purifying, dust-removing and ventilating, and electric coating system. Our coating machine is in line with the GMP standard. 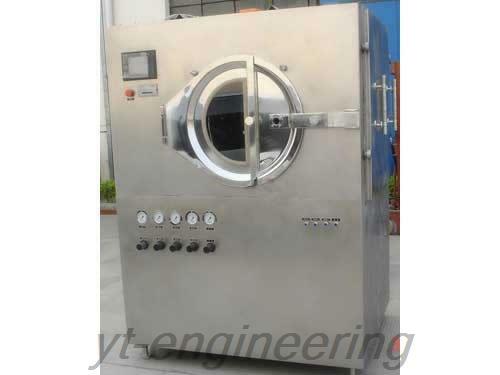 1.Poreless coater is fully sealed and operates in negative pressure. 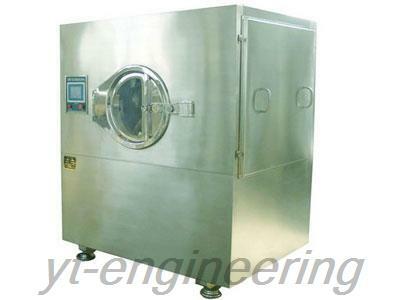 2.Our coating machine is soundproof and adiabatic, which takes a heat preservation effect for the machine. 3.This poreless coater is characteristic of high efficiency and security. 4.Our coating machine is computer-controlled and touch-screen displayed. 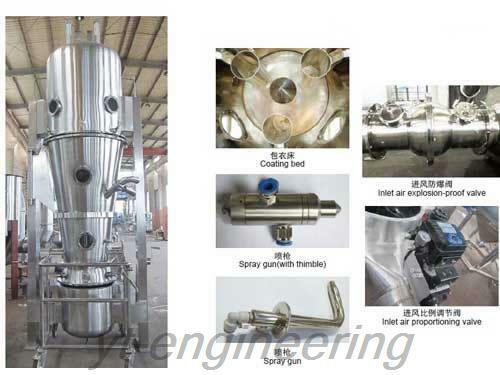 5.Intake and exhaust pipes of this poreless coating machine are interchangeable according to specific needs. 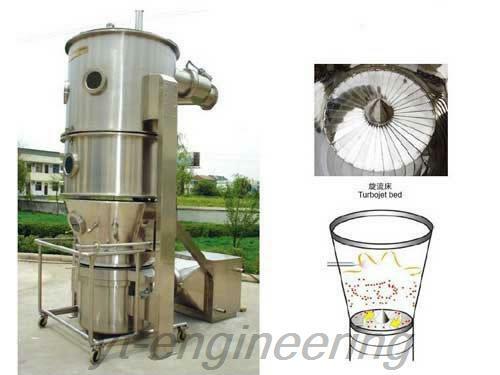 6.This coating machine is equipped with special cleaning devices. 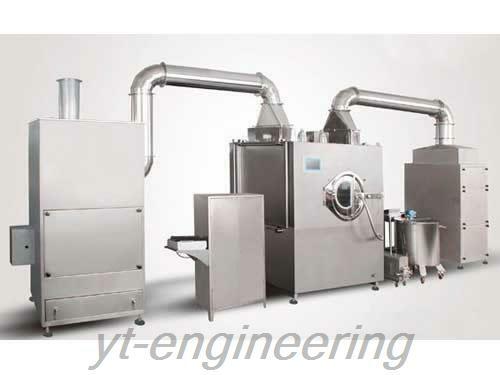 As a Chinese coating machine manufacturer and supplier, Yutong possesses 10 professional engineering and technical personnel and over 100 sets of processing equipment. Over the years, we make our effort to the development and production of granulating machine, drying machine, grinding machine and coating machine. Poreless coater as well as other machines must undergo a trial run in the workshop, and only those qualified products are allowed to leave our factory.